Apparently, there are rumors abound about portly, yet vegetarian, Prince Fielder going to the Dodgers in exchange for James Loney and closer Jon Broxton. 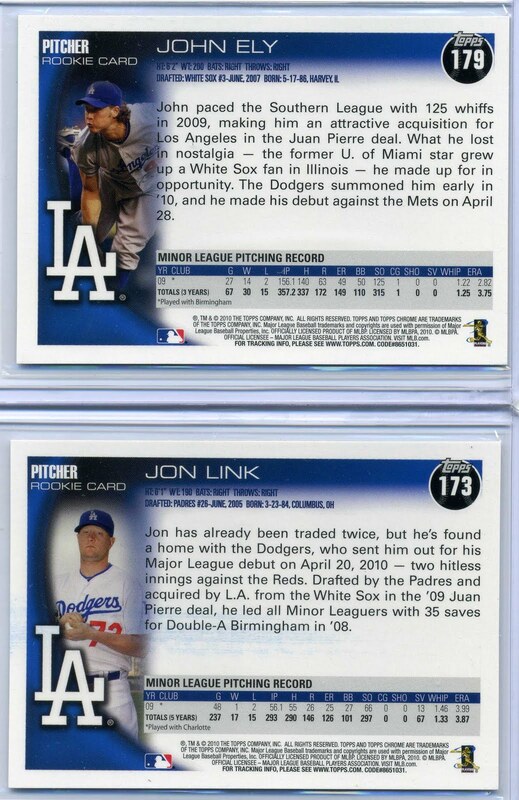 Is this the blockbuster trade Dodgers fans have been waiting for? I dunno. All I do know is that the Prince hasn't always been so princely. Not that a recent past incident at Dodger Stadium portends to an angry unlikeable disposition in the man, I just think it adds spice to the whole discussion. Remember way back when, in 2009, Fielder had a little ugly incident at the door to the Dodger clubhouse. See the below video to reminisce. "I was thinking we were good friends." "We played together last year." 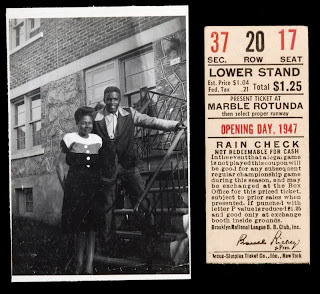 Several months back the super Dodger blog, Vin Scully is My Homeboy (click here for story), came out with an incredible story about one fans stroke of good luck in purchasing an Opening Day ticket stub from 1947 (Jackie Robinson's debut). The story is the kind of thing that any collector would love and can only dream about. Heck, I'm sure many where wondering how much it would bring today. Well, wonder no more. Legendary Auctions has one available from the Bill Mastro collection. See it below. As of this posting it is already up to $3,000.00. There is nothing better then going to the mail box and finding a nice little package from an eBay purchase. 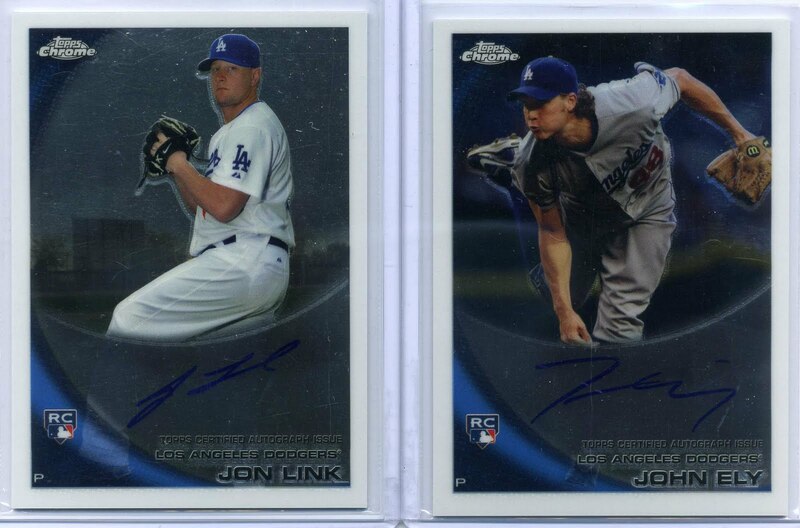 Since I had failed miserably in getting a Dodger autograph from a group break I wrote about here I thought it would be best to snag a couple of them on eBay for, what I thought, was a great price. 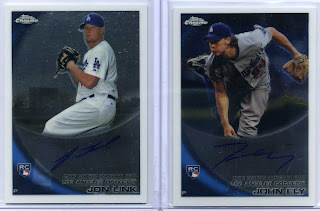 Here are the Jon Link and John Ely 2010 Topps Chrome autograph cards that just came in. I got them for $2.99 + $3.00 shipping. Heck, shipping them cost more than the cards themselves. 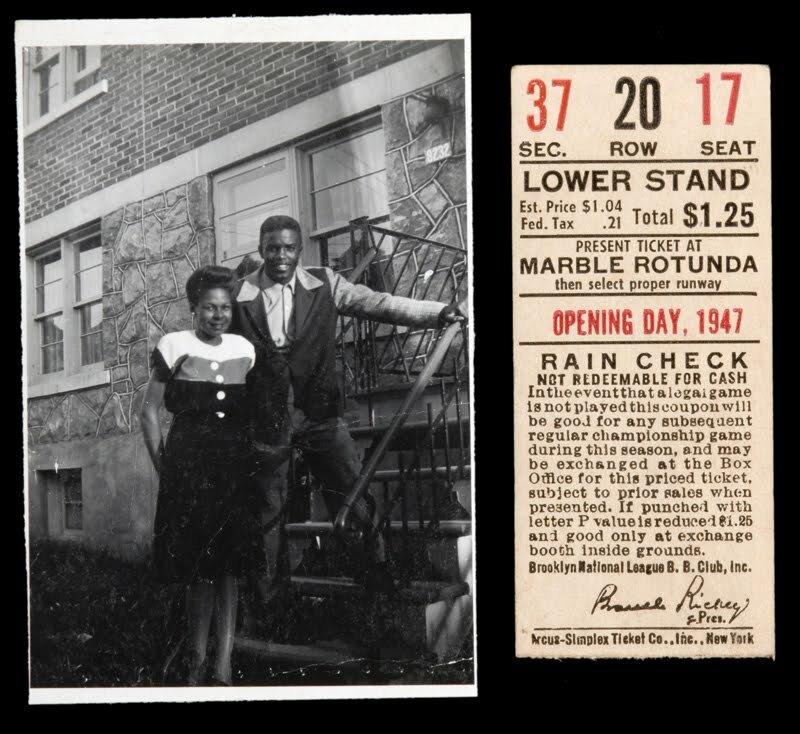 Legendary Auctions is currently offering up for auction 800+ items from the Bill Mastro collection. Mastro, who use to run Mastro Auctions before it imploded, has one of the more extensive and coveted collections in the hobby so I imagine there is a great amount of interest in what they have to offer. 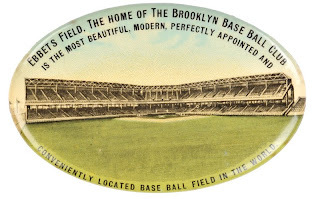 Included are numerous 19th century rarities and game-used items from Hall of famers. 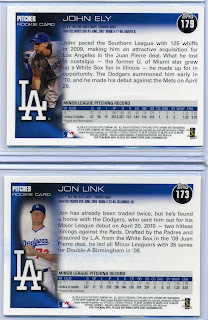 There are also a good number of Dodger related items worth a strong look by collectors. Below is one of those items. 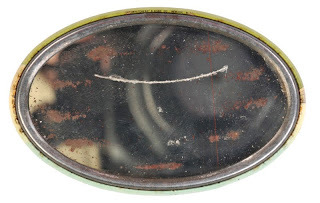 Here is a vintage souvenir mirror, measuring 2.75" horizontally, made in 1910 featuring Ebbets Field. 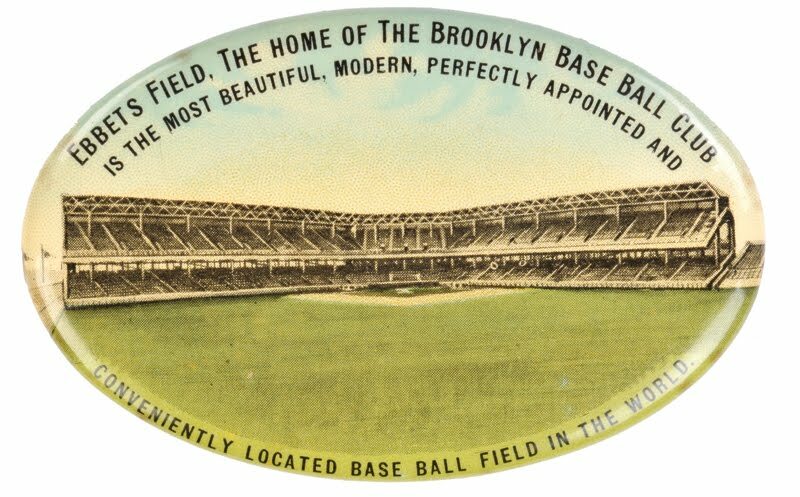 Likely sold at the stadium this example is very rare. Panini, the European sticker company turned sports card maker (they purchased Donruss), has a very cool video up on their blog that I think any current and former card collector will be fascinated by. It shows how packs of cards are made. Check it out below.